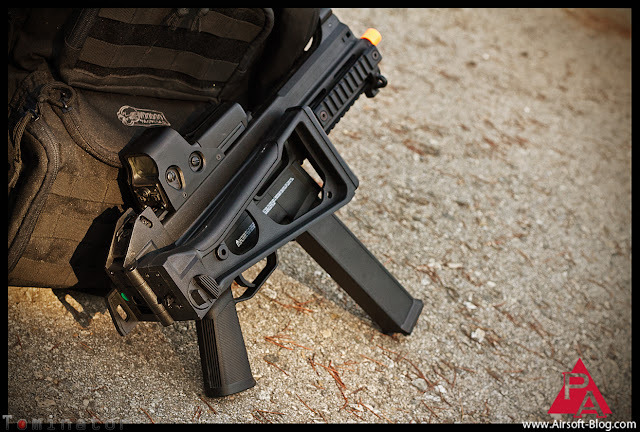 Today we tackle the H&K UMP SMG competition series AEG from Elite Force like a lion on a gazelle. It's important to note that this will be one of two versions from Elite Force on the UMP. This, as I've already stated, is the competition series, which is more of an entry level option, while the pro-line UMP is set for release sometime later this year. 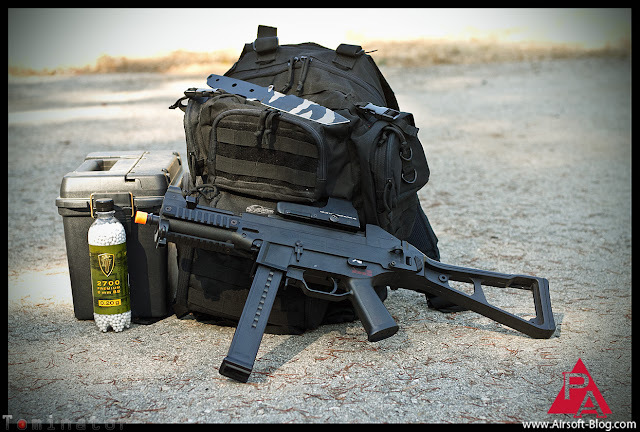 If I were in the market for a budget-friendly UMP, then the HK UMP SMG competition series AEG & I would probably become besties. It's a nice little submachine gun with a nice little price. 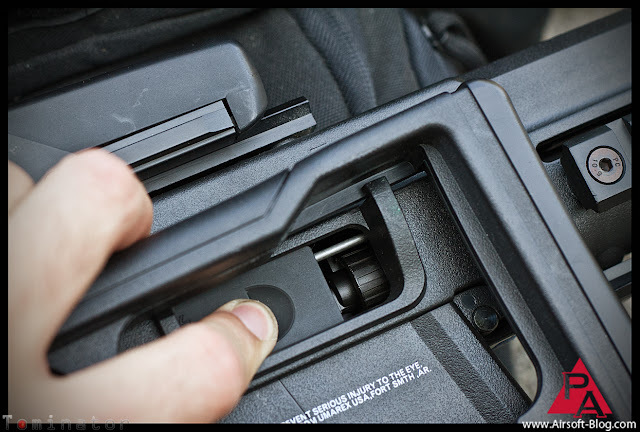 Some of the external features include a tri-railed handguard, with an ambidextrous sling adapter, which I always find to be a nice touch. I will add that the charging handle is nonfunctional, but not something I really care about anyway for an AEG, especially if I got it such a reasonably low price like this one's got. 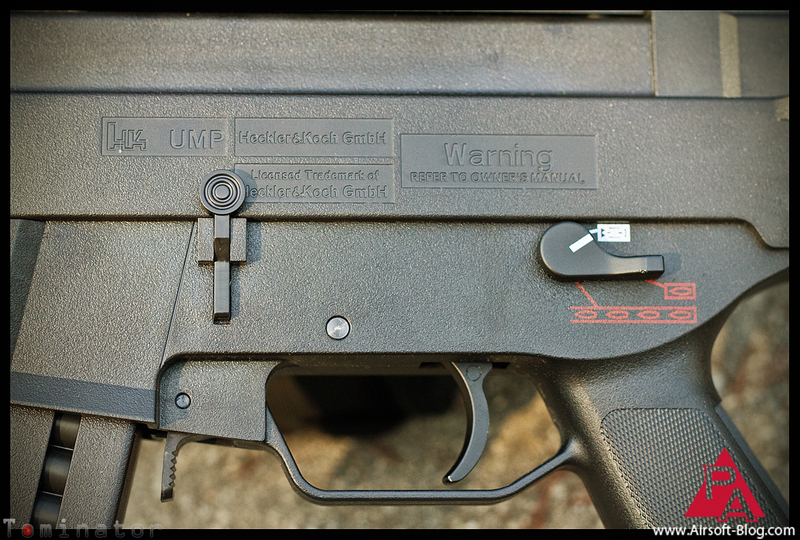 The left side of this Airsoft SMG has a number of markings molded into the side, mainly having to do with the licensed Heckler & Koch trademarks. The bolt release button you see there on the lower left is non-functional. The fire selector is ambidextrous. Side-folding stock for a side-folding victory. Looking closely, you'll see the "HK .45 Auto" markings stamped into the metal dust cover. 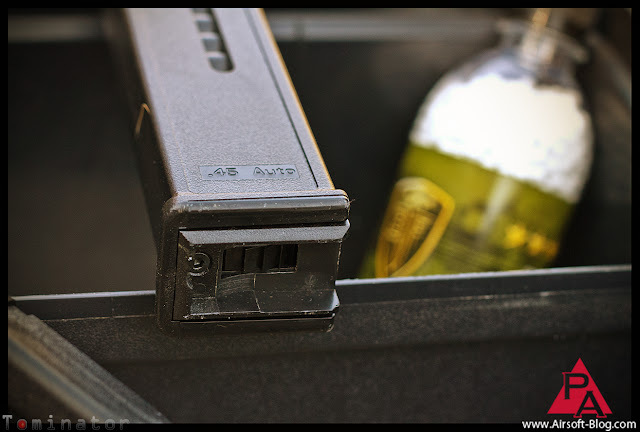 For an entry level gun, I'd say that is yet another nice touch that was added. 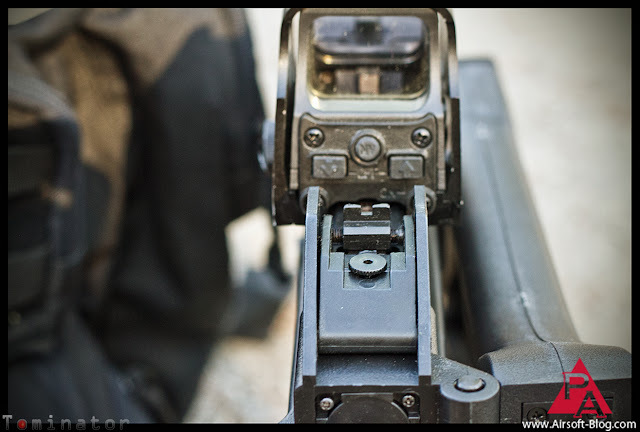 Rear sight is adjustable, but rendered useless when you place a replica Eotech holosight in front of it. I dig holosights, so I couldn't resist slapping one on this gun cuz I thought it looked sweet. One must pull back the dust cover we spoke about earlier in order to access & adjust the hop-up dial. 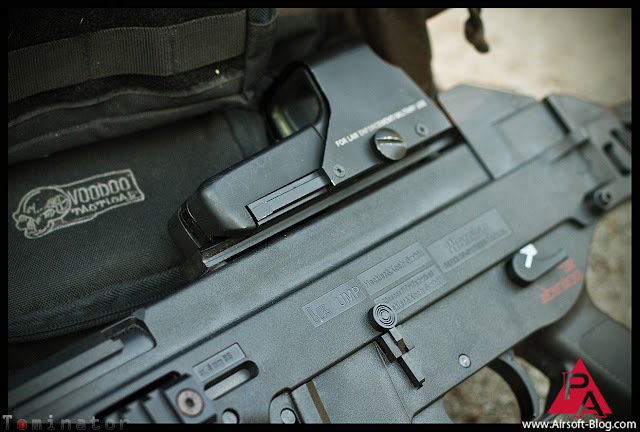 Despite its slender appearance, the operator of this Airsoft SMG will actually have 400 rounds of breathing room inside that high-cap magazine. I recommend the Elite Force .20g BBs in this one. 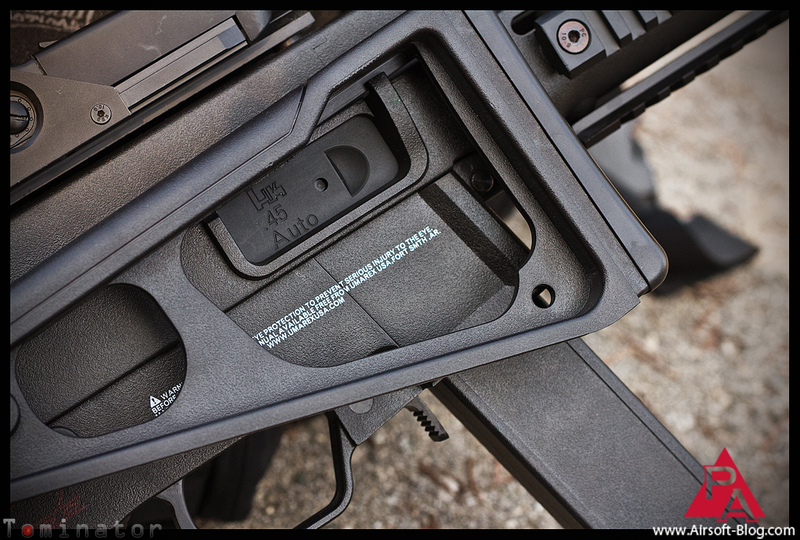 More ".45 Auto" markings on the side of the magazine. Also visible is the mag's winding wheel. That does it for the external features. 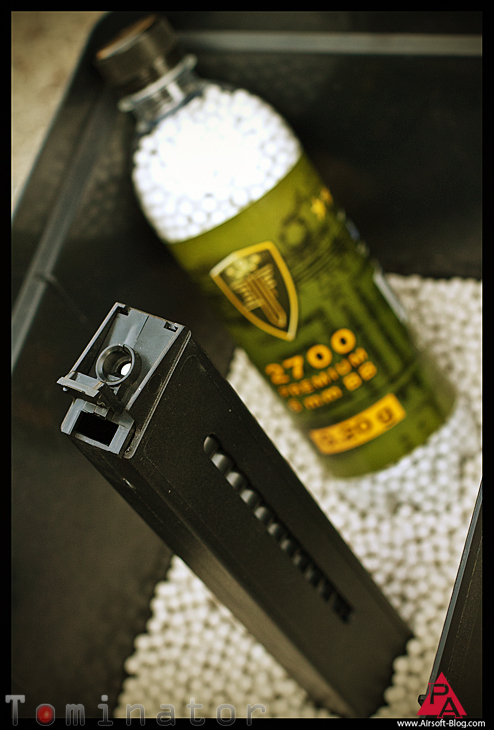 I shall assess performance and share the results with you in a future installment of the Pyramyd Airsoft Blog. Thank you for sticking it all the way through this review. Please share this with your mother and all her friends. 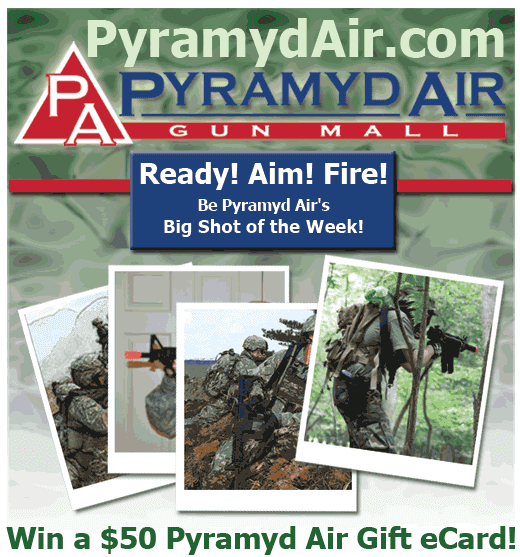 AIRSOFT JOB OPPORTUNITY ALERT: Pyramyd Air is looking for enthusiastic individuals who have a good knowledge of Airsoft products to help them assist their customers while shopping at Pyramyd Air. 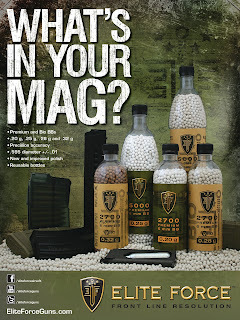 You'll get paid to talk about Airsoft stuff AND you can do it from the comforts of your own home! Click the following link to register with Needle and get all the details. 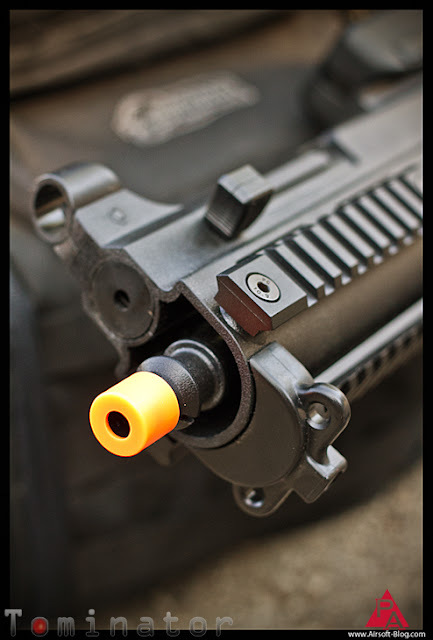 Elite Force Airsoft BBs on Sale!